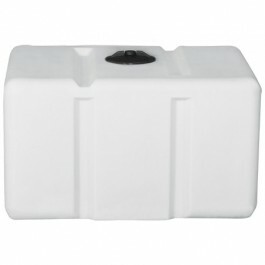 Norwesco 200 Gallon Loaf Tank, part# 43612, is a white plastic utility tank used for transporting water and chemicals. This portable plastic tank was designed for a variety of applications and industries such as: pressure washing, auto detailing, lawn care, agriculture, food trucks, and everyday liquid transportation. 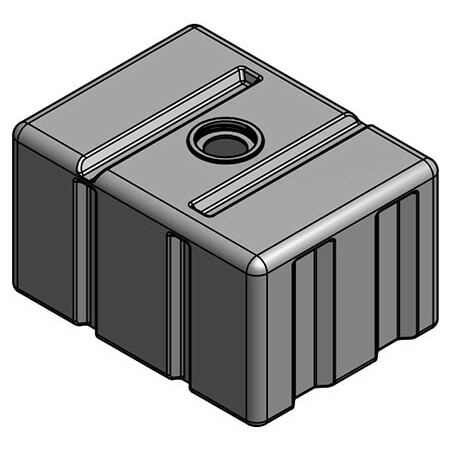 It’s rectangular shape allows for placement in tight places such as truck beds or equipment trailers. This loaf tank comes in the following other sizes: 50, 100, 300, and 500 gallons. Loaf tanks offer convenient liquid transportation and reliability. Norwesco part# 43612 is backed by a 3 year manufacturer warranty. The National Tank Outlet is here to help you with questions regarding this tanks usability and customization options.